Joaquin "El Chapo" Guzman, the Mexican found guilty in a US court on Tuesday of running a criminal enterprise that smuggled drugs into the United States, is likely headed to a "supermax" prison where repeating his past escapes would be nearly impossible. No one has broken out of Administrative Maximum Facility (ADX) in Florence, Colorado, since it opened in 1994 to house the most dangerous inmates in the US prison system. "ADX is the kind of prison that was designed for a high-profile inmate like El Chapo," Larry Levine, a former federal inmate who is the director and founder of Wall Street Prison Consultants, said in a phone interview. 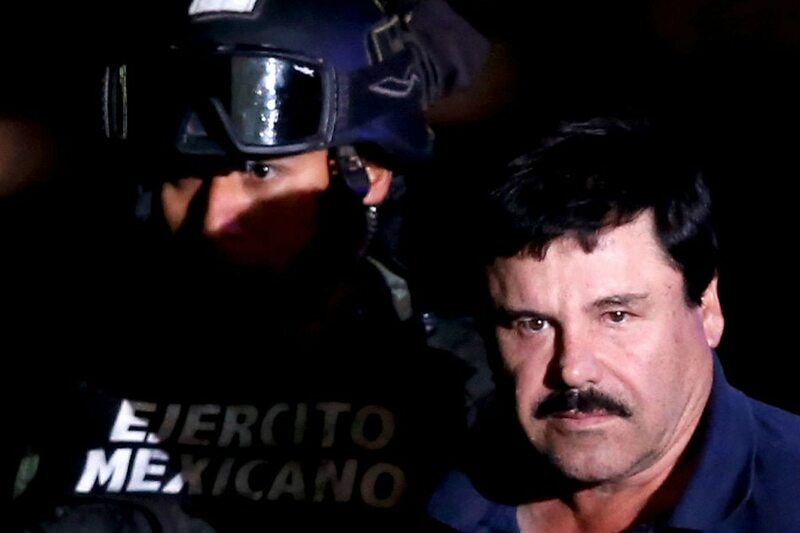 US authorities have been tight-lipped about where Guzman will be imprisoned. But it has been widely anticipated that, if convicted, he would be sent to ADX Florence, ever since his extradition to the United States in January 2017. "For someone like Guzman, the chances of escape from a facility like that are nil," said L. Thomas Kucharski, a professor at John Jay College of Criminal Justice in New York. Officials from the US Bureau of Prisons (BOP) could not be reached for comment on Tuesday. ADX Florence, located in a complex of prisons in a remote area about 115 miles (185 km) south of Denver, is nicknamed "Alcatraz of the Rockies" after the prison in San Francisco Bay that held gangster Al Capone in the 1930s and other notorious criminals. ADX Florence inmates are held in specially designed "control units" that function as prisons within prisons. "It's like a self-contained area within a self-contained area within a self-contained area," Levine said. ADX Florence's most infamous inmates include Ramzi Yousef, mastermind of the 1993 bombing of the World Trade Center in New York; convicted Boston Marathon bomber Dzhokhar Tsarnaev and Unabomber Ted Kaczynski, according to the BOP website. Special restrictions are designed to ensure some inmates have no means of exerting influence or threats beyond prison walls, which is useful for US authorities to control those with sway over militant groups or criminal enterprises. Not all of the facility's prisoners are famous for their crimes. Some were transferred there because they attacked guards or inmates at other facilities, Levine said.